Associate Professor in Media and Communication, University of Leeds. 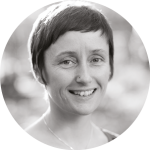 She is a co-author of Political Culture and Media Genre: Beyond the News (2012) with Kay Richardson and John Corner. Along with Stephen Coleman and Giles Moss, she has co-edited a Festschrift for Jay G. Blumler, Can the Media Serve Democracy? (2015). During an election campaign political actors vie for attention and a distinctively managed form of visibility. In the age of digital media, the public image of the political leader is caught between ever-more tightly controlled staging of photo opportunities and the counter imaging practices of those hoping to reveal an unguarded moment, or who might create a fantasy mash-up version if such a moment does not exist. Controlling the ‘optics’ of the election is about hoping to influence value judgements, especially in relation to leadership qualities. The 2017 general election campaign has been ‘highly presidentialised’, with the smaller parties and other usually prominent politicians side-lined in an election narrative centred on a choice between ‘him or her’. In calling a snap election Theresa May immediately occupied an advantageous position: with the authority of the Downing Street stage as her backdrop, she aimed to project herself as the embodiment of strong leadership. This was her message and she was going to stick to it. But May’s inflexible style soon led to a one-dimensional public image, as if she was a prisoner who could not escape the confines of a podium with placards held aloft behind her. When she did manage to escape she floundered and looked awkward in off-script moments. An early attempt at projecting ordinariness by eating a cone of chips was photoshopped to take that intended message to a wonderfully absurd level (Figure 1). Contrast this with Labour offering not just a three-dimensional leader, but a 360 degree video of Jeremy Corbyn’s public addresses on their Facebook page. In launching their use of 360 degree filming technology at major events, Corbyn stated ‘This is accessible, participatory politics for the 21st century’ and claimed that the immersive video enabled Facebook users to experience the event ‘as if they were there’. While such faith in the visual technology might be over-stated in that claim, the initiative skilfully aligned openness and visibility with honesty and accessibility. 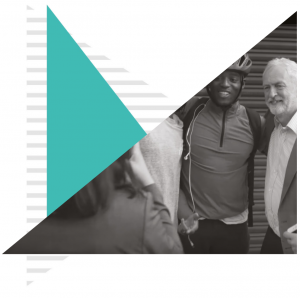 In terms of participatory visual politics, the memes and videos often produced by Momentum activists, in addition to interested supporters, captured the DIY aesthetic of ‘outsider’ Corbyn in an attractive and humorous way. 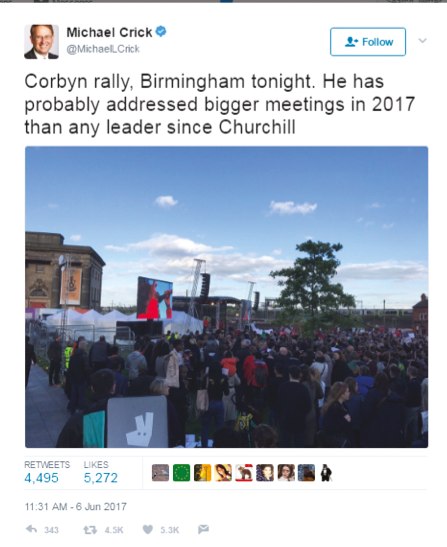 As the campaign progressed, the Labour leader attracted huge crowds at rallies, with Channel 4’s Michael Crick tweeting that Corbyn had probably addressed bigger meetings than any leader since Churchill (Figure 2). For viewers of such media reports, seeing large numbers of ordinary citizens mobilised in this way worked as visual evidence of his popularity. We might question whether these images merely represented the party faithful in safe Labour seats but this would be to miss their wider significance. The accumulative power of such visuals achieved something remarkable, cutting through the negativity of right-wing tabloid scenarios due to their effective harnessing of an authentic mood of positivity. It would be simplistic to suggest that the sensational shift in the polls during the campaign, and specifically in the perceptions of the two leaders, can be explained away by reading the media images alone. But as Justin Lewis has argued, broadcast impartiality rules opened up the space for a more balanced approach to Corbyn, and so both an increased and fair-minded visibility worked in his favour, not enough to win the election but enough to reduce the Conservative majority in a dramatic political shock. 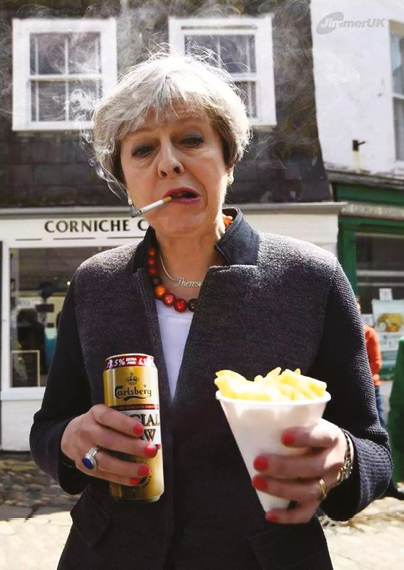 Outside No 10 on the morning of 9 June, the BBC’s political editor Laura Kuenssberg directly commented on the bad ‘optics’ of Theresa May staying holed up inside, that this would ‘not look good’. On one level this could be the frustration of a reporter who is waiting for the drama to unfold, but on another level it acknowledges the importance of been seenby and in the public. To take it a step further, we can think of the public as brought into being through attentive and participatory spectatorship; we want to see our leaders and see them interact with others like us and to feel a sense of recognition. Jeremy Corbyn got this, Theresa May did not.